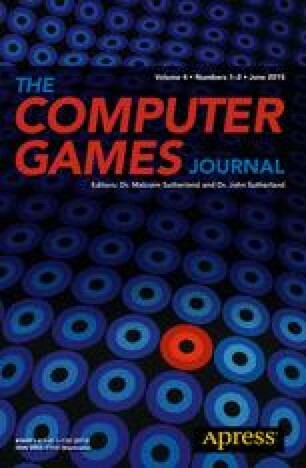 This paper explores the historical links between the technical limitations of video game audio and the creative solutions that were derived to bypass them. Early musical experimentation within video games owes much to innovative pioneers who developed ways to incorporate compelling sound effects and music within mainstream game titles. However, as the technical limitations receded, so too did the incentive for game developers and musicians to develop a distinctively video-game aesthetic for providing musical accompaniment. Promising experiments into the effectiveness of adaptive audio became side-lined as the games industry looked to cinema as an inspiration and model to apply. The result is that music in video games has now largely lost, or marginalised, its most powerfully distinctive feature—the ability to be responsive to the interactivity of the medium. Within this paper we also discuss the use of mainstream music within video games, and how the cultural connotations of song selection serve as a kind of developer annotation. Similar to their use in cinema and television, popular songs offer an opportunity to add a kind of complex aural ideography to a story without requiring large amounts of exposition or meta-textual representation. However, these narrative tools have come at a cost—while a useful compatible convention of audio-visual artefacts, they serve mainly to homogenize the use of music between what could be significantly different mediums. Berndt, A. & Hartmann, K. (2007). Strategies for narrative and adaptive game scoring. Audio Mostly, pp. 141–147. http://wwwpub.zih.tu-dresden.de/~aberndt/publications/audioMostly07.pdf. Accessed 16 Dec 2014. Driscoll, K. & Diaz, J. (2009). Endless loop: A brief history of chiptunes. Transformative Works and Cultures 2. http://journal.transformativeworks.org/index.php/twc/article/view/96. Accessed 16 Dec 12 2014. Heron, M. J., Belford, P. (2014b). Do you feel like a hero yet? Externalised morality in video games. The Journal of Game Criticism, 1(2). http://gamescriticism.org/articles/heronbelford-1-2/. Accessed 16 Dec 2014. Keogh, B. (2012). Killing is harmless: A critical reading of spec ops: The line. Stolen Projects. http://tinysubversios.com/2012/11/review-killing-is-harmless-by-brenden-keogh/. Accessed 16 Dec 2014. Lipscomb, S. D., & Tolchinsky, D. E. (2005). The role of music communication in cinema. Musical Communication, 382–404. http://www.lipscomb.umn.edu/docs/Lipscomb_Tolchinsky_ICMPC8_proceedings_final.pdf. Accessed 16 Dec 2014. Tomczak, S. (2009). Authenticity and emulation: Chiptune in the early twenty-first century. In International computer music conference proceedings. http://little-scale.blogspot.co.uk/2008/09/authenticity-and-emulation-chiptune-in.html. Accessed 16 Dec 2014.